It is a known fact that many of the white-collar workers are suffering from work related stress which can be physical or mental. It may be muscle pain, neck strain, migraines, Monday blues and etc. Right at this moment, I am suffering from Thursday syndrome which involves mental and physical exhaustion and excessive eagerness to finish my Friday off as quickly as possible. In effort to calm and revive my tired soul and body, I got to have my beef mince curry to jump start my drive. Using mince in replacement of diced meat saves a lot of my cooking time and personally, I reckon it tastes just as good. 3 cloves of garlic & 1 inch of ginger (to make into a paste). Alternatively, you can use ginger and garlic paste from the jar (1 tsp:2 tsp ratio), no judgment! 1. 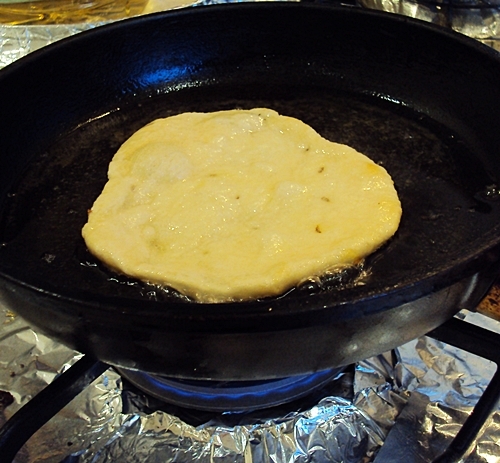 Fry the cumin seeds, cardomon pods and the chopped onions with 3 tbsps full of oil on medium heat. Cook till the onions become golden brown. 3. 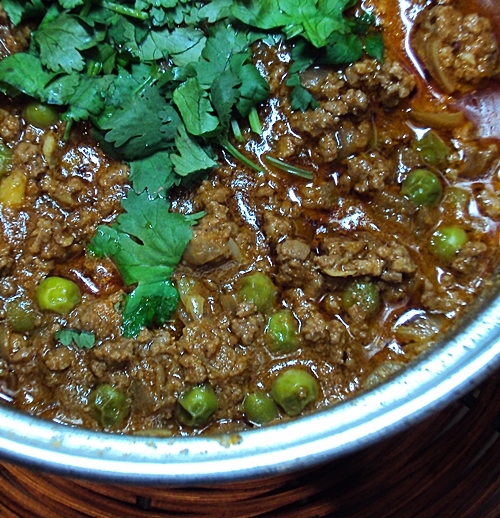 Then add the remaining ingredients (mince beef, tomato paste, green chilli and frozen peas) into the spice mixture, stir to mix until well combine. Allow the ingredients to simmer on low heat. 4. When the oil starts to separate (a layer of oil form on top of the gravy), I add about half a cup of water and season with salt and allow the curry to simmer for a further 10 mins. 5. Finally, garnish with chopped coriander before you serve. 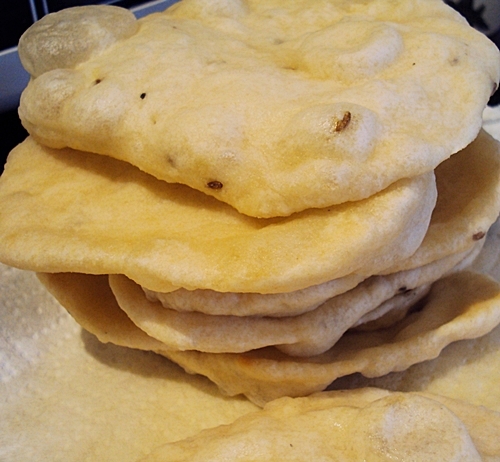 I had the curry with my homemade Indian Fried breads (aka poori) which I learned from a Maurition friend. This is probably as far as my ability can stretch when it comes to bread making. Plus, this is my favorite way of finishing up any flour leftover from my cake baking days. As I make this often enough, I would normally let my subconscious mind do all the work. Hence the lack of measurement. Essentially, I just add flour, salt, water and a bit of oil together and mix them till the mixture is kneadable. To give you a better picture of how to make this, I have found this easy recipe which sums up my process. Usually, the recipes you’ll find specify certain types of flour. I personally think it is safe to use any kind of flour that you have in your pantry. 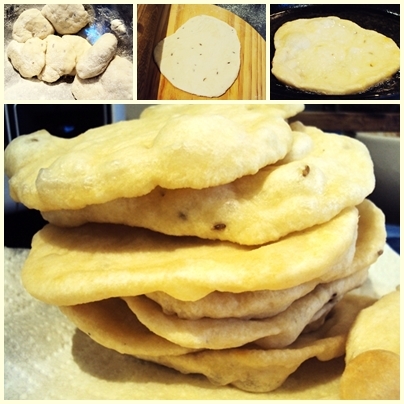 To create my signature style breads, I used self-raising flour as it will give a “fluffier” texture than the normal ones and I add some cumin seeds to echo the flavor of the curry. 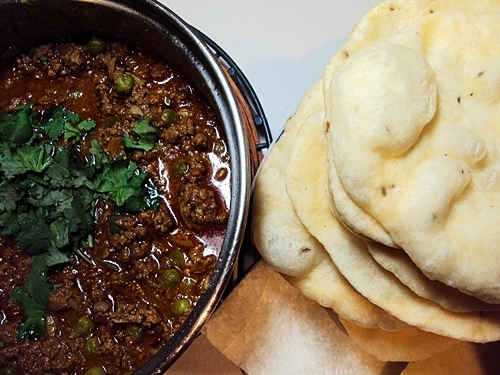 that’s the way mince curry should look like…. cant wait to cook ……………..but unfortunately, no where in your recipe do you say when to pre/cook and/or add the mince beef. I’ve updated the post so it makes much more sense to you now. You’ve uncovered one of my older posts which the writing at the time was a little questionable haha!